January is here again and it only seems like yesterday we were saying the same thing. We have been busy here getting ready for the new season which has been very exciting! We have been putting the final touches on our new brochure which is now ready with lots of new and exciting products. Our website has been updated and is now a fully functional e-commerce shop. So for those customers who prefer to shop on line we are now up and running! 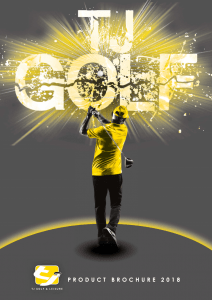 New Brochure- TJ Golf new 2018 brochure is now available. We will be posting out a hard copy of the new brochure to all the Golf Clubs from 26th January. It’s also available to download or view on our website. If for any reason you do not receive your copy please contact us and we will be happy to send you one. 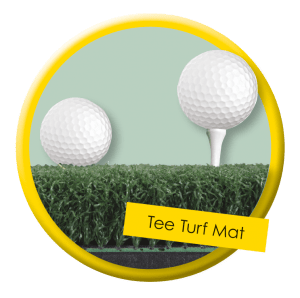 Tee Turf Mat- 40mm pile non infill giving a firm stance. Can be used with regular tees. 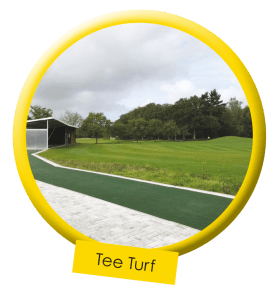 All year round perfect tee solution or winter tee. Comes with a foam and rubber base. Size 1.5m x 1.5m. Tee Turf on a Roll- 40mm pile non infill giving a firm stance. Can be used with regular tees and easy to install. All year round perfect tee solution or winter tee. Comes with a latex backing. Width 2mtr, Roll Length Max 18mtr. 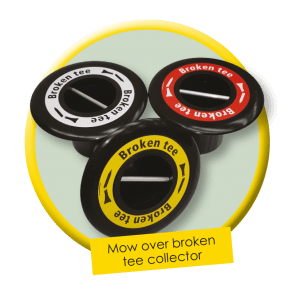 Mow Over Broken Tee Collector- Our new mow over broken tee collectors which double up as tee markers are manufactured from impact-resistant, black plastic. The standard version has a sticker with ”Broken Tee” text next to a broken tee symbol. They are available in Red, Yellow, White, Blue or black but can also be personalised with yardage or your logo. Hole Cup Logo Inserts- These plastic molded cup inserts sit nicely at the bottom of the hole cup. They can be logo’d with your club logo or sponsor. Fits all of our cups except the ST2000. Maintenance Tools- TJ Golf have a new range of Professional Maintence Tools at more affordable prices. They are heavy duty aluminium with powder coated handles and a unique wrap around bracing system for extra durability. 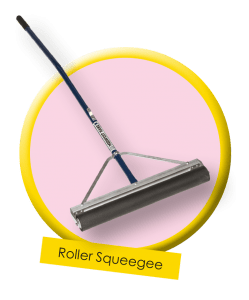 Among the range we have the Landscape Rake, Screening Rake, Dual Purpose Rake, Roller and Flat Edge Squeegee, Straight Lute and Industrial Broom. Bournville Litter Bin- Made from an extremely durable, all weather resistant plastic with a convenient swing lid. Matches in with the Bournville Divot Box. TJ Golf- Year Round Package Deal- Through popular demand we are bringing back the Year Round Package Deal but with more choices. We will be doing cups, pins and flags but offering the Royaline, TJ or Pattissons. 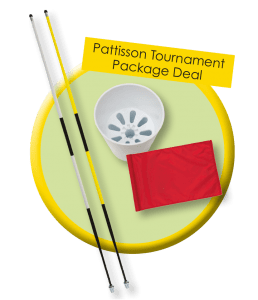 Each deal will come with 18 x hole cups, 18 x flag pins and 18 x 400 denier flags all at discounted prices. Website Sales- We would like to offer our customers discounted prices for online sales. If you order direct from our website shop you can benefit from lower prices on the majority of our products. Payment can be taken either by PayPal or credit/debit cards, the choice is yours. TJ Golf would like to wish all our customers a successful 2018!